Sedentary lifestyle and rising economic crisis are two crucial factors that have created a very complicated condition among mankind called depression. It is caused by intense and constant stress, nutritional deficiency or even body chemical imbalance. It is possible to overcome depression without making use of medicine. 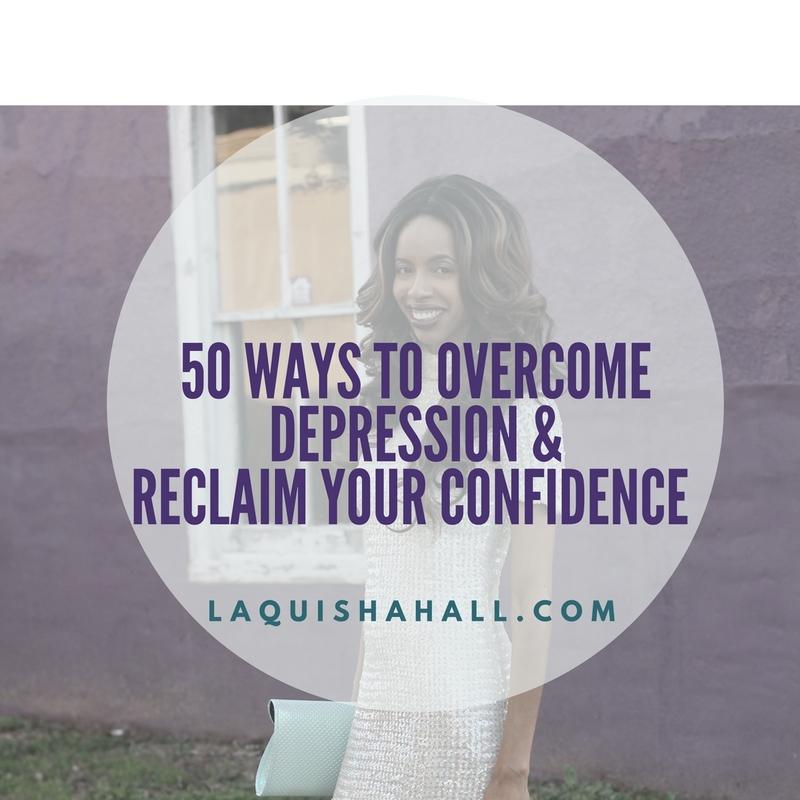 This guide of 50 ways to get rid of depression quickly will help you take back your confidence! Have tea – Tea contains caffeine that is very effective in stimulating the mood hence taking tea at different times in a day will keep you joyful. Also tea enhances functioning of the mind. Create a Guest Book in your honor – You can buy a plain scrapbook and either decorate it or make use of a designer to decorate it. Ensure to have the cover decorated with your favorite colors and inside with artistic designs of your choice. Place it in the living room for friends and relatives to sign. Clean the clutter – It is time to move on, thus get rid of all the reminders of incidences that puts your mood down. In this case, feed your mind with memories that gives you intense joy and remove the items in the house that makes you relive the traumatizing events. Plan a fun Sunday outing – Always have a plan to indulge in a great treat every Sunday! Go out, either alone or in the company of a person you enjoy being with. Make Sundays extraordinary by participating in fun filled outings. This is the best way to unwind for the coming week. Shop a craft store, then scrapbook – Art is healing and the ideal way to overcome depression. Therefore, if you cannot draw or craft things, buy attractive items artistically designed such as wall drops, items made with beads or even have the house painted with captivating landscapes. Having a collection of photographs in a scrapbook can help. Enjoy a healthy meal – Watch your diet. Increase intake of vitamin D and omega 3s as they reduce depression. Eliminate alcohol, sugary snacks and processed foods from your diet. Have a diet with plenty of sea food, water, natural fruit juice, vegetables, lean meat and portions of carbohydrates. Go for a walk and take a landscape or nature photo – Nature refreshes your inner being, take a walk and admire the nature. Consider taking a photo in the attractive landscapes. Play at the park – Participating in simple games that are childlike in the park eliminates the thoughts that are depressing keeping you happy and relaxed. Create a Confidence Corner – Make every corner of your house a confidence corner, a place that evokes positive feelings and a sense of joy and comfort. Have the painting done in colors of your choice and pictures that inspire you. Get mentored by a positive influence – Identify a person who inspires you most. You can have a one on one talk with them, read their books or even watch their recorded materials. Go to the movies alone – Have time for yourself. Consider going to movie theatre alone or watching interesting movies all by yourself in the house. This helps you to get in touch with your inner self. Write daily in a pretty journal – Acquire an attractive journal with artistic designs and bright colors in which you enter daily events, thoughts and feelings. This helps you to reflect and have positive thinking. Create a confidence song list – Have a collection of songs that highly inspires you and gives you hope. Keep them playing when you are engaged in different chores as they elevates your mood. Buy fresh flowers – Buy fresh flowers or have them planted in the compound where you can get freshly scented flowers each morning and have them in the house. This is highly refreshing. Unplug electronics for a week – Get rid of excessive noise as it acts as a toxin in your mind. Silence brings inner harmony and peace. Therefore, unplug the electronics in the house for few days. Write an encouragement note to yourself – You are the best person to keep yourself inspired and focused on positive thinking. Write positive quotes and messages dedicated to you. Write an encouragement note to someone else – Do you know by speaking to another person you are talking to yourself as well? Now you know, write an inspiring note to a friend or a loved one. Write the vision – Set a goal that you wish to achieve and write it down. This helps you to be focused on success other than failure. Compliment yourself and others – Be positive! Whisper words of gratitude and attractive comments to yourself and others around you. Show gratitude to yourself and others. Write an Oscar winning thank you list – Be thankful for even those things that seem petty. Make a list of people you wish to thank. This helps you to focus on positive events and see goodness around you. Pray and meditate – Connect with your higher or spiritual being. Pray and reflect on the role of the higher power. This develops your spirituality building strong faith and hope. Read a good book in comfy clothes – Reading books inspires and exposes new knowledge to you. Do not strain yourself while reading instead, make it a hobby. Purify your face – Your face is a reflection of the state of your soul. Keep your face cleansed and refreshed with charming beauty that evokes a sense of positivity. Invest in your hobby – Identify the activity that gives you pleasure and its fun doing it. This becomes an activity that keeps you busy while bringing inner fulfillment. Vision board happiness – Write down a plan of fun filled activities and the activities with potential success. This gives you a reason to live your life with a sense of excitement. Try something new – Get rid of monotony by venturing in new activities, places and interacting with new people. This opens up opportunities for you to be happy. Create a comfort box – Preserve those items that bring beautiful memories. They might be writings, photos or objects that you can refer to when feeling down. Indulge in good scents – Identify the flowers, perfumes, shampoo or any other items with scent that elevates your mood. Have them in the house and on your body to soak you in that sweet fragrance. Identify your purpose and goals – Know what you wish to achieve, have a plan to achieve it and make effort to get it. This makes your purpose in life clear. Cook – Take time to prepare food that appeal to you. Give a treat to yourself! Define couture’d confidence – Reflect on the meaning of confidence in your life. 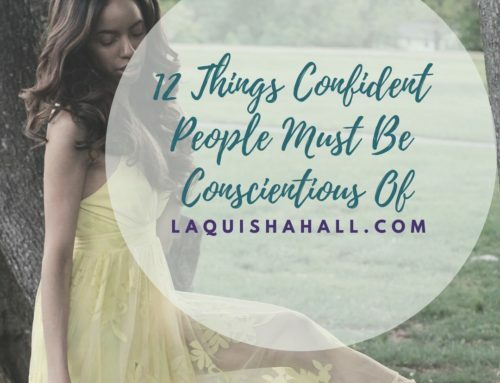 This helps you in identifying the type of confidence you need to develop in yourself. Shop for someone you love – The art of giving gifts to others evokes a sense of self worth deep within you. Spend time with a child – Taking time out with a child who is innocent and stress free helps in eliminating the worries within you. It cleanses the soul and mind. Give free hugs – Free hugs to others teach you how to receive them from others with gratitude other than keeping to yourself. Write a forgiveness letter – Pardoning yourself and others through letters that might be given to them or not is healing hence evoking a sense of positive thinking. Pick up optimism – Pessimism will acerbate depression hence develop positive thinking. Look forward to achieve goals and succeed. Volunteer – Give your time to participate in helping friends and less fortunate. For example visit a children’s home or a hospice. Celebrate yourself – Go out alone and have a good treat for a dinner in a favorite joint. Be artistic – Identify your artistic talent and make use of it. It can be drawing, painting or playing musical instruments. Surround yourself with light – Ensure that your house is full of light day and night by opening up the windows during the day and enhancing lighting system for the night. This brings life in your house. Hang up your happy colors – Surround yourself with the colors that brighten your life. Hang pictures and wall drops with painting of favorite colors. This keeps you warm within. Keep calm and relax – Keep stress and hustles at bay. Think of things that you can achieve and let the past be. This evokes a sense of calmness and relaxation. List your awesomeness – Take time to reflect on your achievements and complement yourself for the success. This helps in identifying your strengths and potential that you can unleash. Pause – Take time to evaluate whatever you are about to do. This saves you from avoidable mistakes that can bring you down. Be the author of your own inspirational quotes – There those positive quotes you wish to hear from others. Do not wait for others; write them down dedicating them to yourself for inspiration. Start your day early – Oversleeping gives you a possibility to procrastinate achieving your goals. Waking up early gives you enough time to achieve goals giving you a purpose for living. Write a poem and annotate it – Take time to make a poem about your life and comment on it. This helps you to have positive thinking. Find your happy place – Identify places that refresh you such as favorite parks, entertainment joints or stores. Visit them once in a while. Write your own affirmations – Eliminate words like “I will try” “I can” and start writing “I am working on…” “I am able”. Congregate – Do not be a loner. Interact with friends they inspire you positively. 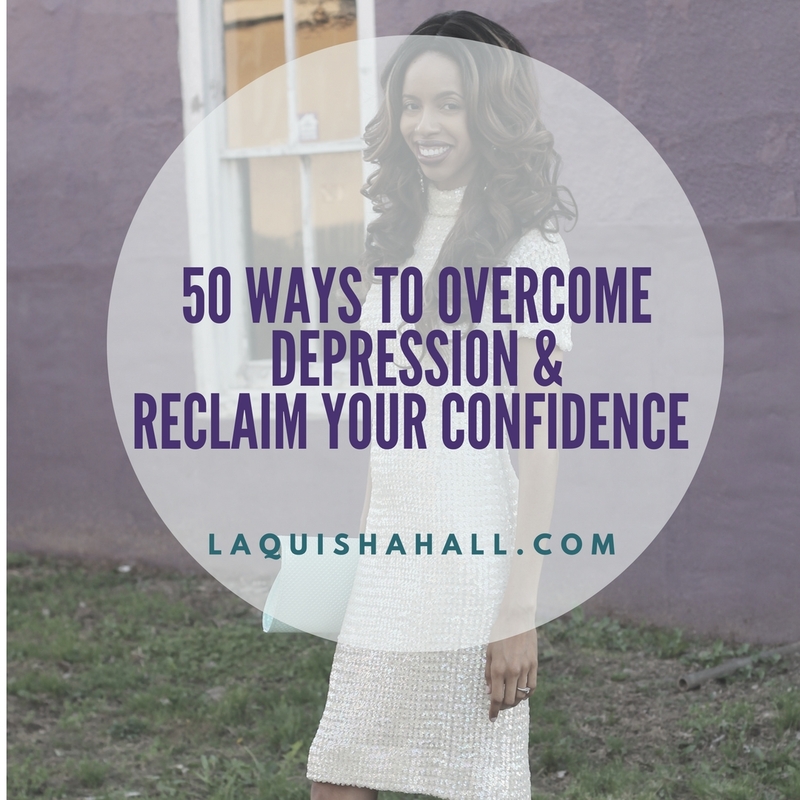 So, now you have 50 ways to reclaim your confidence and thus make sure to remember these things and begin each day with new energy! 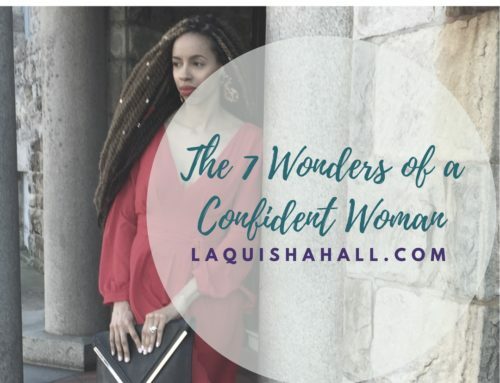 LaQuisha Hall inspires through mentoring, uplifts abuse survivors through advocacy and blogs about looking and feeling great while confidently living life on purpose. Great tips. I’ve always depended on my hobbies, good music and just some alone time to bring me out of my depression. Eliminating the source(if you can) is a big help. This post is so timely! I hope that others will definitely put a few of these suggestions into practice. Wow! This is a great post. I love your list of ideas. I’m bookmarking this post so I can refer to it in the future. Love these tips! I do a few of these when I’m feeling down or just need a pick me up. Especially taking a nice walk. I think these are generally great mood boosters. There’s nothing like fresh flowers in your space to make you happy. This is an awesome list! I have tea and prayer every morning because without them my day just doesn’t go right. I love your ideas of creating a confidence song list and comfort box. I’ll have to do those soon. I think the two things people often underestimate about depression are diet and seeking professional help. Not all therapists prescribe medication and food has healing capabilities beyond what we generally know. Diet can change so many issues in life. Create a guest book in your honor, never thought about doing that, a great way to celebrate yourself for no particular reason. 24. I have hobbies, now I want to really invest. Ie. Get new head shots because I love to act. Shop for someone you love: I love to shop at Christmas time, love to see people faces when they open there gifts. These are great tips! I love fresh flowers and buy them regularly for my kitchen table. They make you feel so much better instantly. I enjoy several of these activities. Sipping honey vanilla chamomile tea is one of my absolute favorites. I have a cup a day. Crafting is another favorite. These are all great tips in combating depression. I definitely do numbers 1 and 6 regularly. I think i’ll try a few more off of your list this week. Thanks for sharing! Thank you for the inspiration. Lord knows we need it in this season. Great Ideas!!! Im not suffering from depression but I could use some personal time to do some of these thing on the list!